If you’ve read about starting your online business or earning money online, you probably read about blogging, the importance of having a website for a business, affiliate marketing, freelancing, and more. 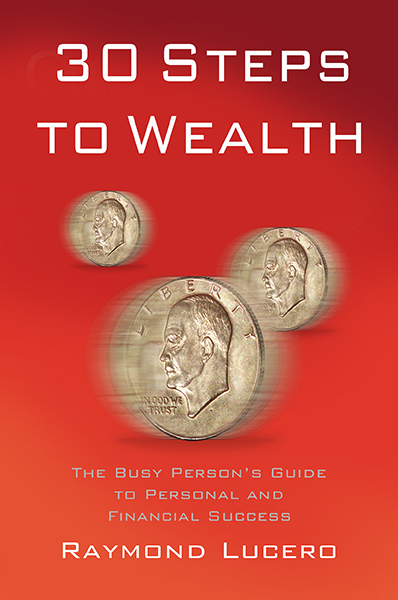 We needed to learn and use all those and more in order to set up, maintain, and improve YourWealthyMind.com. 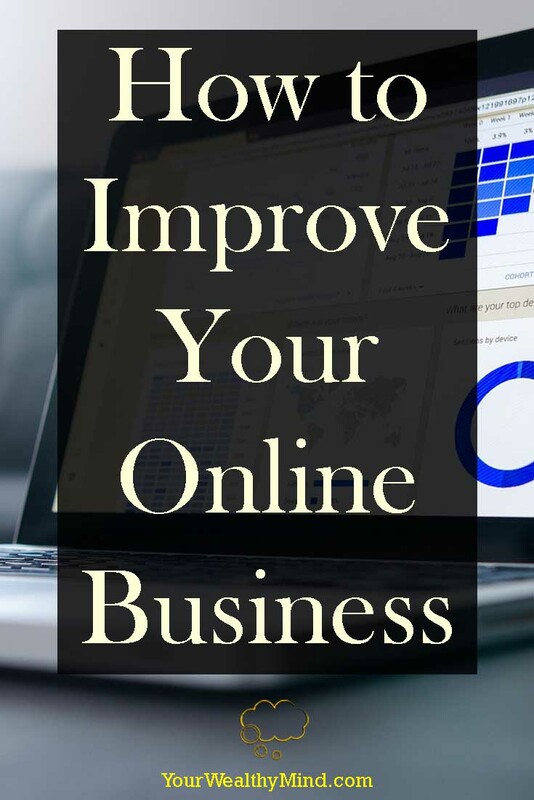 If you want to setup or improve your online business, you might want to check out a little of what we’ve experienced here. What have we learned in setting up a blog that also applies to businesses? How can YOU use it to improve your own business? Keep reading to learn more. Read about online businesses long enough and you’ll likely hear about something called “growth hacking”. What is it? To put it simply, it means continuously improving your product and business until you achieve product market fit. That means you enter a market with a great product that can satisfy what those people need. For example, people needed online storage and Dropbox stepped up to provide it. It also gave bonus space for referrals and thanks to that, more and more users joined because of friends referring their friends. It’s not just about achieving product market fit or improving your product until the people who like it love it. It’s also about improving your business in general by constantly trying out new things, including unusual approaches to growth and marketing (Dropbox referrals worked better than billboards and TV ads), as well as learning from mistakes. and a new affiliate program catered towards Filipino consumers who are the majority of my readers. Aside from those, I just recently learned about the Accelerated Mobile Pages (AMP) system that’s being promoted by Google and I’ve started using it, hoping that it’ll give better rankings in Google. Despite all those improvements, traffic had a slow and consistent drop over the past month and my AdSense earnings dropped along with it. Most of my traffic comes from organic google search. Direct traffic and traffic from social media was unchanged. The drop was from google search. Google dislikes websites crammed with ads, affiliate banners, and widgets and they give it a lower search ranking. Google also gives lower rankings to slower websites. Pages can be slowed by having too many widgets and ads on it. Backlinks from bad websites hurt your rankings. I recently reused a certain social bookmarking service which may have caused the decline. Since removing a certain blog promotion subscription, I noticed no significant decrease in my stats. Getting rid of that $5 a month subscription was a good decision. A part of growth hacking is in experimentation and doing what works better. By doing so, you slowly and surely improve. So what did I do after looking at the data? For my most valuable pages that receive the most traffic (my Tagalog translations), I removed a lot of widgets and affiliate links that could have led to the traffic decline. To improve website speed, I removed useless things like the category list and the slider for my most recent articles. I also stopped using a certain bookmarking and backlink building service. While traffic did not increase right away, the slow decline appears to have stopped. AdSense earnings improved a lot for some reason. Mailing list signups also increased. In short, there were some improvements thanks to what we did. There does seem to be a small anomaly though, in that my TopBlogs.com.ph ratings hasn’t changed drastically. I’m still in the top 10 of their Filipino Business Blog list. There’s a possibility that our region’s traffic decreased overall and that the new affiliate links are not to blame, but we’ll explore that later on. For now, I’m keeping the changes, and I’ll look for more ways to improve. That is certainly something worth remembering. Experiment and improve, use what works best, and discard or change what doesn’t. The Pareto principle states that only 20% of what you do brings 80% of your best results. That means only around one fifth of what you do is actually important, and the rest are almost useless. Minimize or stop doing those worthless things and concentrate more on those that give you the results you want. In my case, getting rid of unnecessary widgets improved my site speed by around 30% (Google Analytics data), and that will indirectly improve my rankings. Remember: More is not always better, and quality can often trump quantity. If you don’t change for the better, misfortune will force you to change. One reason why Japan is well known for quality is because of their concept of “kaizen” which means “change for the better.” Nowadays it’s known in business a philosophy of constant and relentless improvement. That’s a way for average businesses and products to become great, and I believe this is also the philosophy behind growth hacking. You can always do better. The question now is “how”. Is it by using a better theme or layout for your website? By changing prices? By writing better sales letters and sales copies? By posting better product pictures on your fanpage? By improving your packaging and delivery system? By switching to a better target market? One tip I learned from Bob Lotich’s book about blogging is that merely changing color theme, shape, or location of your ads will improve your earnings a lot. Which setting will work for you? Luckily, AdSense has A/B testing so you can find out for yourself. While mistakes can decrease your earnings, your next small change can lead to massive success. It’s like what hotmail did by adding “Get your free e-mail at Hotmail” to each sender’s emails long ago. You’ll never know what will boost your business unless you try, so keep trying! No, I don’t mean you should intentionally sabotage yourself. What I mean is you must make more decisions and learn from the mistakes you make along the way. The very best leaders like Jack Welch, former CEO of G.E. taught that you should not be afraid of making mistakes as they often bring the best opportunities to learn and improve. Again, do not fear mistakes, especially those that came from calculated risks. Now take a look at your business or career. Is there anything you can improve on right now? Why don’t you try it and see what happens? It could lead to success beyond your wildest dreams.